Chicago residents who came together in solidarity against violence in the city and to call for the resignation of a former Obama aide blocked traffic Thursday evening. The city is facing a crime crisis that is spiraling out of control with each weekend seeing a dramatic spike. Since Friday alone, 63 people were shot and 10 people were killed in Chicago. Chicago police said Lake Shore Drive protesters entirely shut down the road for around 35 minutes Thursday as demonstrators marched to Wrigley Field. 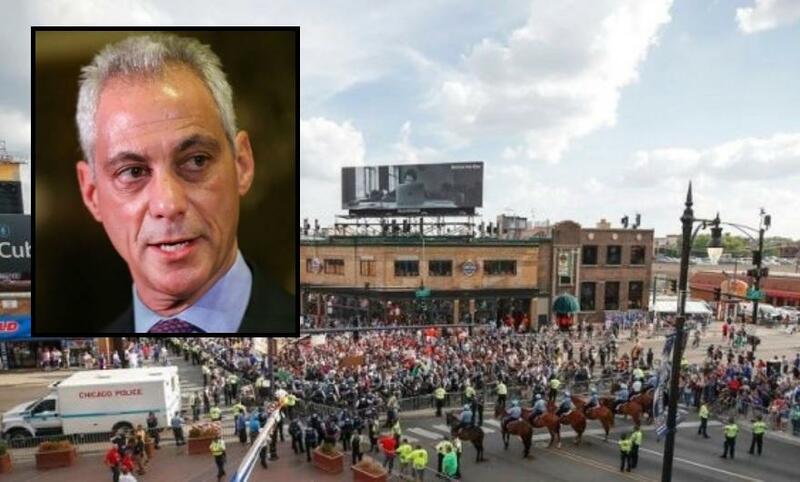 The Chicago Cubs were scheduled to play that same evening as 400 protesters called for the resignation of Chicago Mayor and former Obama aide Rahm Emanuel. The crowd chanted, prayed, and gave speeches against violence before eventually leaving. This weekend along has left dozens of people wounded across the city and 10 were killed with five of those deaths occurring between 10 a.m. Saturday and 10 a.m. Sunday. in one two-and-a-half-hour period, there were 25 people shot in five separate shootings. Paramedics called Saturday evening into Sunday morning "a war zone" as they dealt with a patient after patient. Chicago Police Chief of Patrol Fred Waller spoke at a press conference Sunday afternoon saying, "We know that some of these incidents were targeted and are related to gang conflicts in those areas." Waller also reported the majority of the shootings took place in the six, tenth and 11th districts when gunmen opened fire into large crowds of people. The shooter then got back into a vehicle and fled the scene north on State Street, according to police. Another example of why gun control is a recipe for chaos . Chimpcongo ought to be marketing itself as Congo on the Lake. No need to fly across the world, just SoutbSide for that Turd World experience!